A happy New Year to all those in the Titanic community…and what a year it promises to be. Like many of us, I’ve been caught up in a great many Titanic related projects to mark the centennial of the sinking. There are so many places I would have liked to have been – the unveiling of the Harold Lowe memorial in Barmouth, at the British Titanic Convention in Southampton, at other events organised in Australia and the USA. However, I’ve been confirmed for the Titanic Memorial Cruise, so I’ll be over the wreck site in April to mark the 100 years since the tragedy. Titanic survivor featured in new book – Flashback – Chorley Guardian. Patrick Stenson, author of the most comprehensive biography of Charles Lightoller to date, has apparently issued a new and revised issue of the book. Titled ‘The Odyssey of C.H. Lightoller – Titanic Voyager’, it is available for £24.99. This beautiful piece was digitally painted by artist Darthfar – a wonderfully atmospheric piece, that even captures the curious twist in Lowe’s nose. 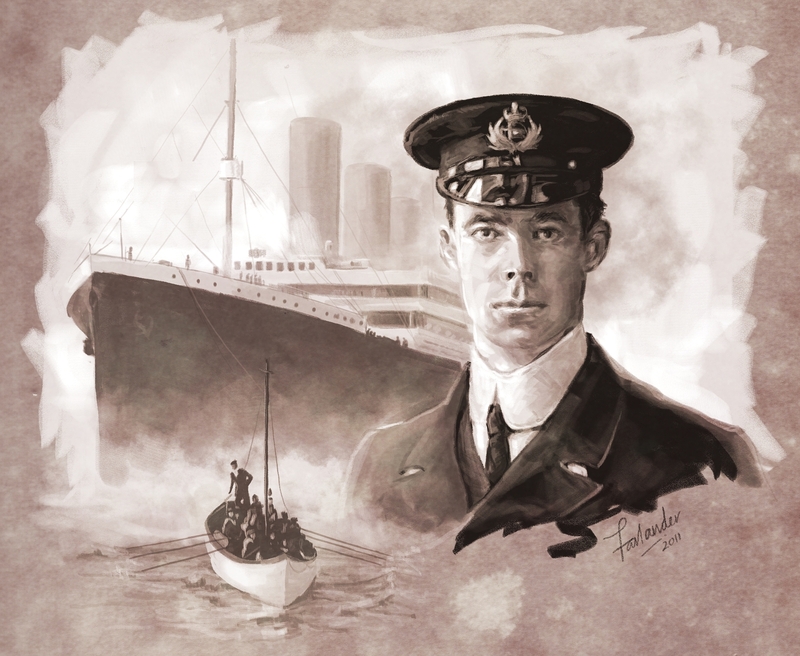 Cover art for Titanic Valour: The Life of Fifth Officer Harold Lowe. Welcome to On Watch: The Deck Officers of RMS Titanic. 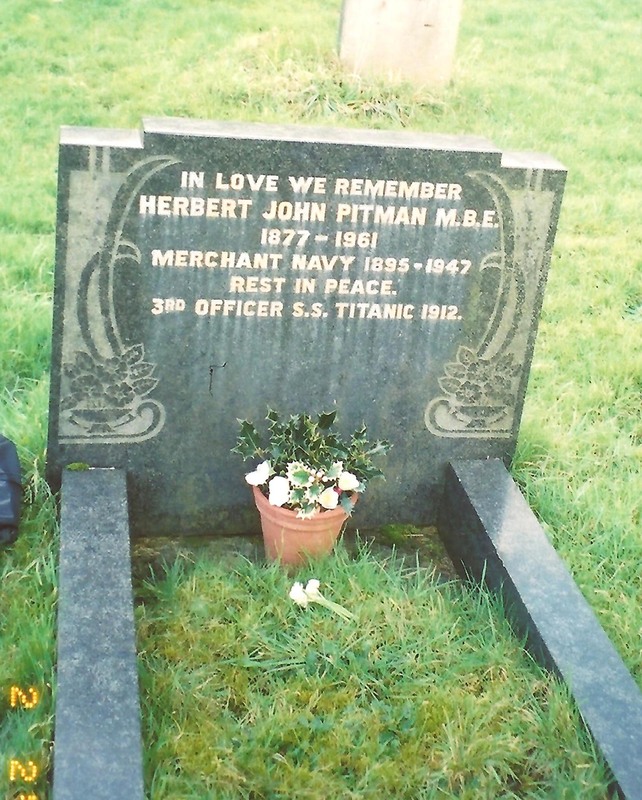 I’ve had a web presence in Titanic circles for over a decade now, and have helped to run several sites dedicated to original research on the deck officers of the Titanic and the British mercantile marine c. 1890 – 1930. 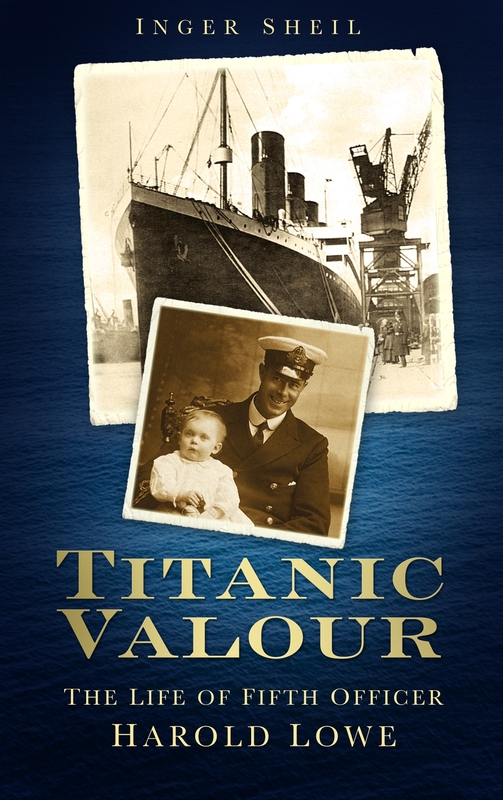 With the publication of my first book, Titanic Valour: The Life of Fifth Officer Harold Lowe due early next year, I’m hoping to present some of the material I’ve gathered over the years in this new blog, including some of the articles from defunct websites. Sorting through period photographs as well as more recent ones from my travels and research, it occurred to me that there was plenty of material to sustain an ongoing blog and hopefully generate some new discussion on the personal and professional lives of this group of individuals. Discussion, comments, suggestions and new information are particularly appreciated – and please bear with me as I find my way around WordPress and develop the blog’s appearance!